I have blogged earlier about Magnus Berglund. 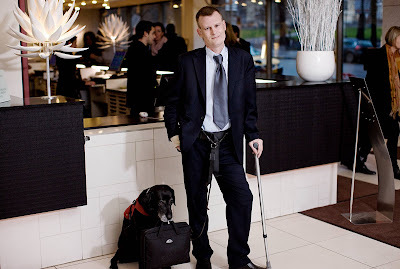 Magnus is the disability ambassador for Scandic Hotels. Scandic is the only hotel I am aware of that has someone like Magnus who is responsible for developing the hotel on behalf of disabled guests. I learned about Magnus from a CNN Interview (which you can find at the bottom of this blog post) and I contacted him. Magnus has kindly agreed to do an interview with us for the blog and tell us more about what he is doing for Scandic. GE: Magnus, thank you for agreeing to doing this interview. What do you feel is the main problem for wheelchair users in the hospitality industry and how do you hope to make a difference? 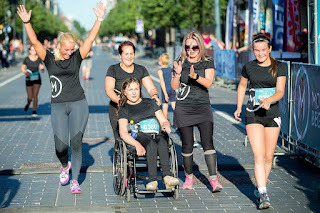 MB: The main problem for disabled guests is the industry looking at the person as someone with a disability, and not as a guest, which we at Scandic Hotels do. 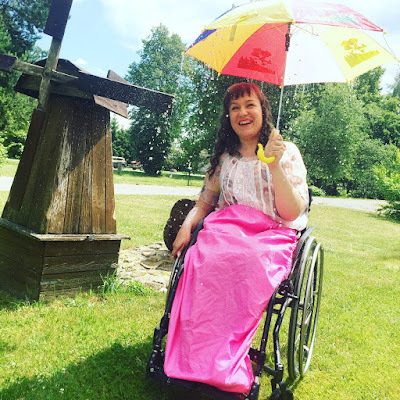 GE: Why should a wheelchair user select Scandic? Why is it different than other hotels for a wheelchair user? MB: Scandic is trying to involve disability issues in everything we do, for example, we have created a working list of 93 accessibility features for hotels to follow. 77 of these features are mandantory for every hotel. All 93 features are mandatory for renovated or new hotels. Some of these features include; hearing loops at the reception, alarm clocks for deaf people, stick holders at the reception, a guest computer that can be reached from the wheelchair. (Download Scandic's Accessibility Broschure here). GE: How has Scandic's approach to wheelchair users changed since you have been with the hotel? 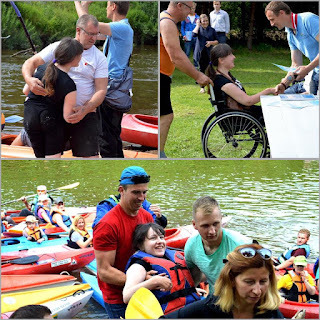 MB: The main difference is that we now have ongoing discussions with disability organization and disabled guests. For example, in a few minutes I will take a taxi and meet several different representatives of Swedish disability organizations. GE: What should a wheelchair user do if he or she visits a Scandic hotel and finds problems related to their disability? GE: Do you think that all hotels should be required to meet some kind of industry-wide standards? MB: Yes, when building new hotels. GE: What further improvements do you hope to see over the short and mid-term? Can you tell us your vision for the future? MB: Scandic Hotels is planning quite a few number of hotels, and this is at present my main focus. For example, we are going to build a hotel in Berlin with over 10% of the rooms disabled accessible. The new hotel will have very modern features for disabled guests. With millions of disabled guests around the world, I wonder if Scandic is the only hotel chain which is taking disabled travelers seriously? If anyone knows about other hotel chains and what they are doing would you please enlighten us? I would be pleased to do similar interviews with representatives from other hotel chains to learn more about what they are doing. It would be interesting to learn more about how the hotel industry is evolving to make hotels more accessible to disabled guests. Please leave a comment below. A hotel executive might read this one day and your comment will help them to understand why this subject is important to you.